Home » How Long Do Economic Cycles Last? 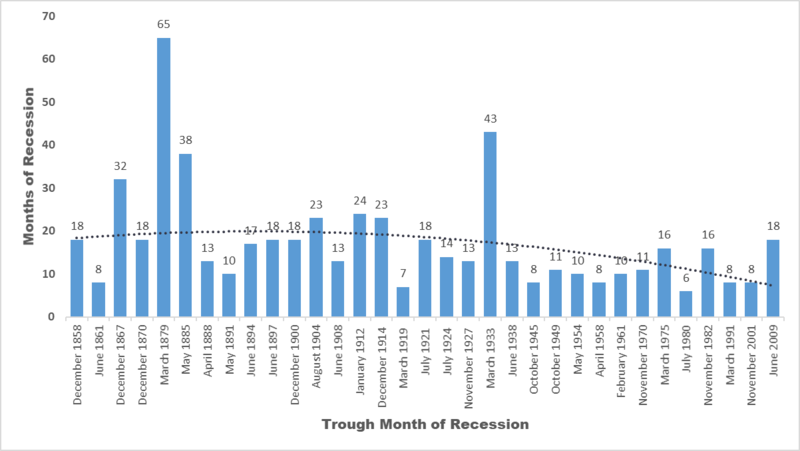 Looking back historically, the timing of the ensuing recession was not unusual. The average length of an economic expansion during the latter half of the 19th century was about 27 months. So, in hindsight, a recession may have been a few months overdue. Hindsight can make recessions look more predictable than they really were. But the cyclical nature of our economy is evident — no expansion or recession lasts forever. This article catalogues the duration of economic cycles in the U.S. and comments on historical trends in the duration of expansions and recessions. The U.S. economy is in its 106th consecutive month of expansion, as of April 2018. This is significantly above the historical trend line. 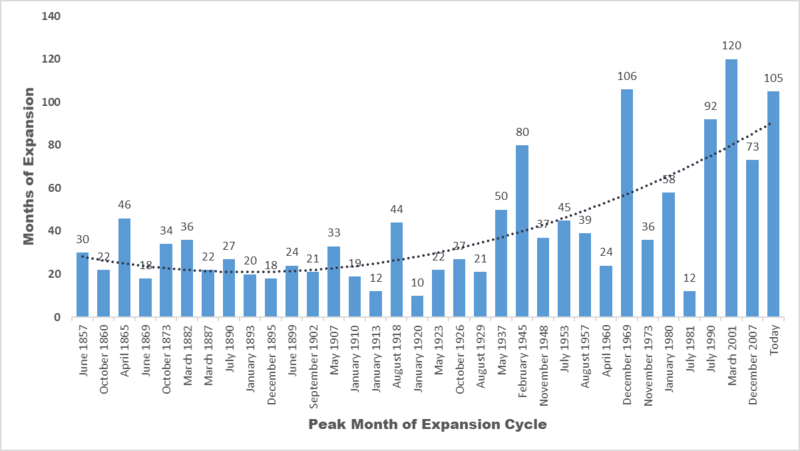 If the current expansion continues through May of 2018, then it will become the second longest expansion on record. If the expansion extends through July of 2019, then it will become the longest expansion in U.S. economic history. Hans Detlefsen, MPP, MAI is President of Hotel Appraisers & Advisors, LLC (HA&A). 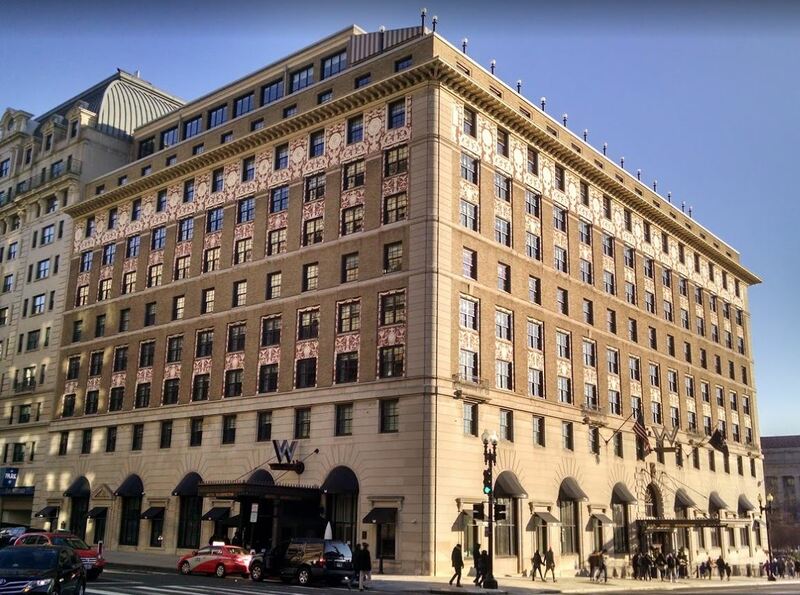 HA&A is a national consulting and advisory company focused exclusively on the hotel industry. The company is headquartered in Chicago, Illinois. We use second order, polynomial trend lines to help visualize changes in the duration of economic expansions and recessions. However, we conclude that the historical variance in cycle durations implies that these trend lines should not be used to predict cycle durations.